In an attempt to make state executions more interesting, and appealing to the public, President Trump has introduced the ‘gamification’ of executions. Gamification is a relatively new term that makes games out of mundane, or work-related, tasks in order to encourage people to complete them. 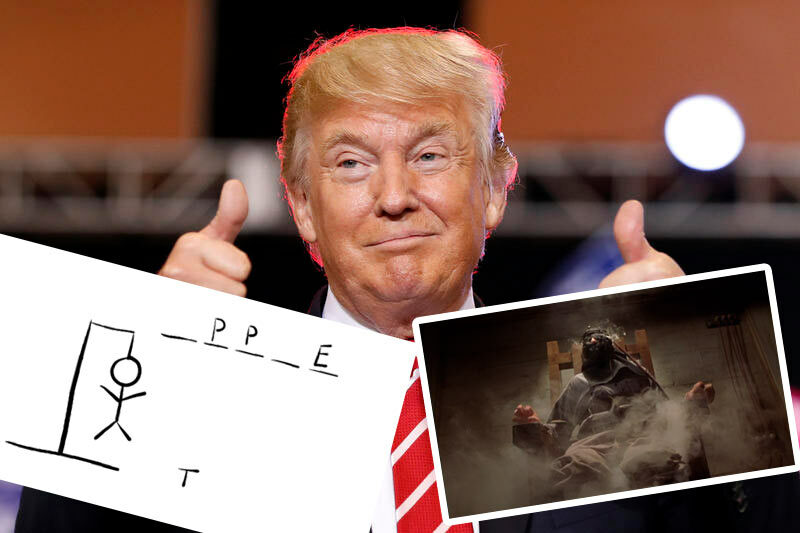 Executions in the USA have been lagging in popularity, of late, and President Trump hopes to turn that around by gamifying the process using the popular word game ‘Hangman’. Additionally, as Mr Trump is a social media expert the games will be played via Twitter, with players sending in their letters and guesses via tweets. The initiative has already had a trial run in Texas, where Billybob Jackson was executed last week after Twitter user USA_Patriot_556 failed to guess the word ‘apple’. In the game, incorrectly guessing the letters and completing the word causes your man to ‘hang’. Once USA_Patriot_556 failed to identify ‘apple’ as the correct answer, the switch was thrown on Mr Jackson and he was electrocuted via a live Twitter stream. Mr Trump was delighted with the trial, and the initiative is being rolled out across all US states where executions are still carried out. Mr Trump tweeted about the gamification of executions by congratulating himself on the idea. What do the Bugle’s readers think of President Trump’s initiative? Will you be playing?